I am happy to share this new site, which will be about everything to do with hair wrapping! The “hair wrapping how-to” section was getting much too crowded over on andreagrinberg.com, plus I have many ideas on new places that I want to take this art. – Inspirational photos and stories of other women and how they cover their hair! – As well as the usual how-to videos, photo inspiration and hair covering thoughts that have always been there! What would YOU like to see here? Let me know and I will do the best I can to feature it! There are so many women that cover their hair with scarves for various reasons. This site is a place to share and learn about this beautiful art together. I luv this new project and the segment “what I’m wearing on my head” it will be so usefull…Best!!! Andrea, it is a very nice segment, i think that you need to start an earrings segment too, because I like the ones on the picture above., good luck !. Earrings were a huge revolution for me – completely changes how my scarves look and so face flattering! I will definitely do a segment on earrings – thank you for the suggestion! how about the whole outfit… toes to top? I really should do that! But I definitely don’t take as much care in the rest of my wardrobe as I do in my head covering! 😛 That’s really something I will be doing on andreagrinberg.com one day… and probably featuring other women as well! You are so right – will most definitely be doing a post on accessories! how do you get a silk scarf to stay on your head? Hi Kezzy. I have a secret – it’s a velvet headband that I wear underneath my scarves that has the “friction” side working against the scarf… keeps it on all day! 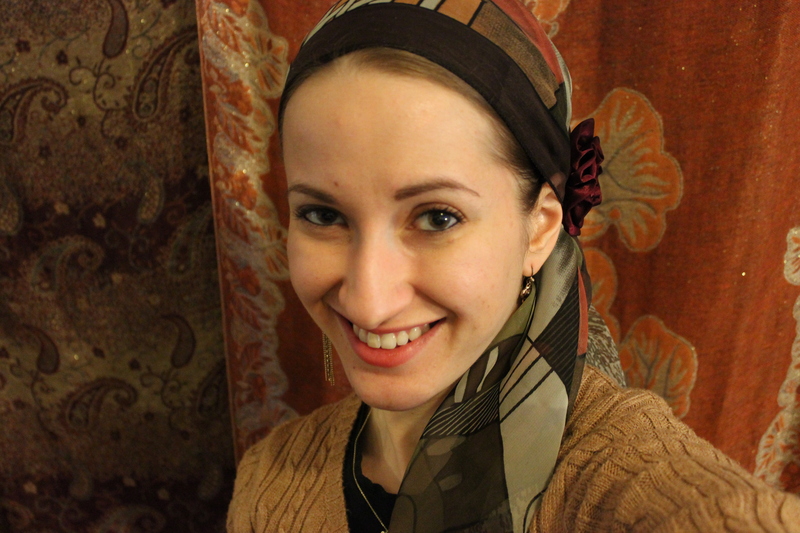 I just cannot keep on my silky scarves; I wear the signature shaper, but it doesn’t seem to help. Any ideas? and once you list sites where you get things…. you can notify of great deals and sales? Another fun idea would be to do guest posts… if you catch photos of followers wearing something really awesome.. These are great! Many of them I haven’t heard of before… thank you! And yes, guest posts are a great idea! Aw *blush* same to you but more of it! Can I do a post on you and your awesome headwraps sometime?? I’m so agree with lzbthcldwll about the whole outfit ideas that ll be g8! I’m so glad that you found it and are enjoying! preciosos todos los modelos! muchas gracias! necesito saber las medidas del turbante?